Our client approached us to design a rich, old world style catering hall in the diverse neighborhood of Woodside Queens, NY. Using a mix of dramatic faux paint textures, rich marble and stone, and lighting effects, the space was transformed from the ground up. 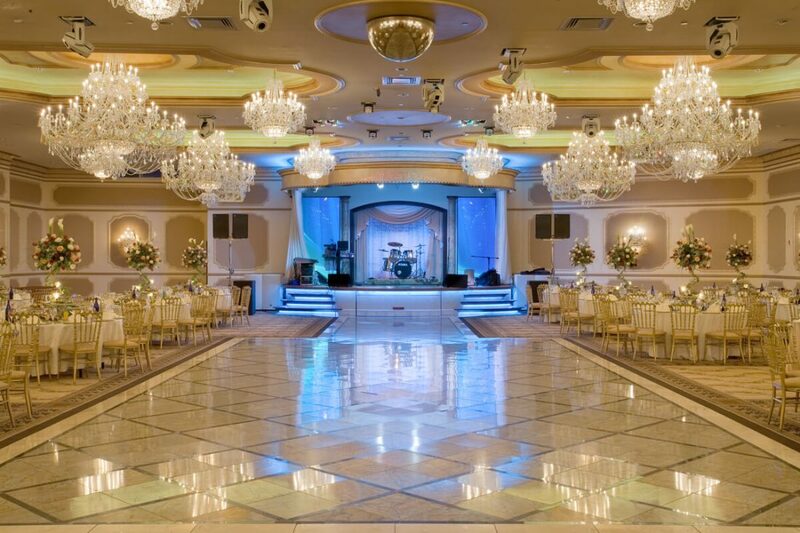 MAIN BALLROOM: The main ballroom is the centerpiece of the hall. 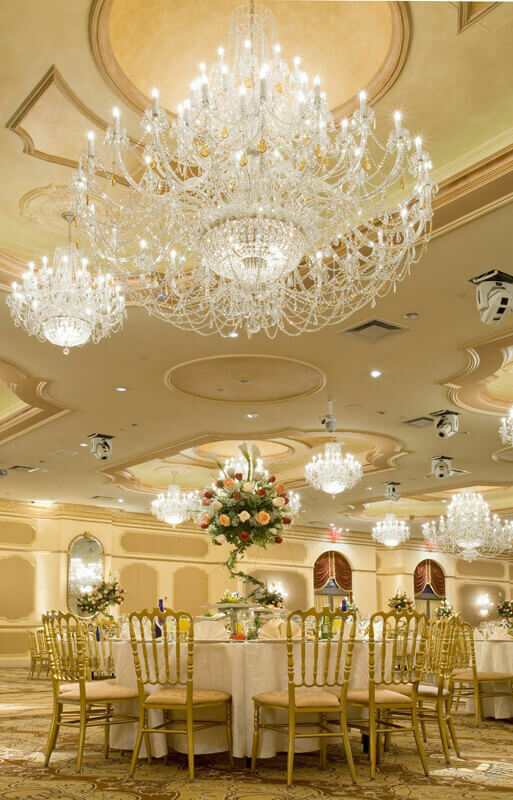 Custom designed crystal chandeliers hang from ornate ceiling. The dance floor is a combination of marbles and granite, used in a diagonal pattern to create movement and an expansiveness to the space. A custom designed carpet with borders was used for the rest of the room. BATHROOMS: We used a variety of marble and granite in all of the bathrooms throughout to continue the theme of luxury and old world feel. Crystal sconces and lighting are also continued through the space for this effect. MAIN LOBBY: The lobby has a feature light fixture which comes off of a metallic faux painted canopy. The circular motif was continued throughout the room, and the colors were kept light and in order to enhance the colored LED lighting effects in the ceiling and along the walls.